Since 1898, the University of Chicago Booth School of Business has produced ideas and leaders that shape the world of business. Our rigorous, discipline-based approach to business education transforms our students into confident, effective, respected business leaders prepared to face the toughest challenges. We are proud to claim: •an unmatched faculty •degree and open enrollment programs offered on three continents •a global body of nearly 47,000 accomplished alumni •strong and growing corporate relationships that provide a wealth of lifelong career opportunities. 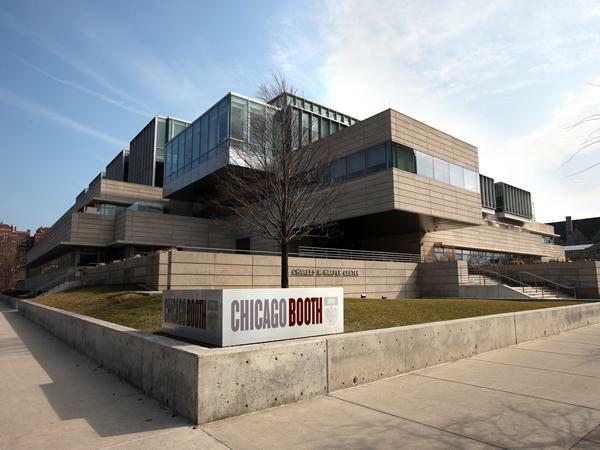 Since 1898, the University of Chicago Booth School of Business has produced ideas and leaders that shape the world of business. Our rigorous, discipline-based approach to business education transforms our students into confident, effective, respected business leaders prepared to face the toughest challenges. We are proud to claim: •an unmatched faculty •degree and open enrollment programs offered on three continents •a global body of nearly 47,000 accomplished alumni •strong and growing corporate relationships that provide a wealth of lifelong career opportunities. Executive MBA - North America. Admission to the Chicago Booth School of Business is extremely competitive. Admissions Officers scrutinize a wide array of qualifications, including academic record (quality of curriculum, scholarships, special honors, etc. ), work experience (quality as well as quantity), and overall "fit"(interpersonal skills, unique experiences, philanthropic act...Admission to the Chicago Booth School of Business is extremely competitive. Admissions Officers scrutinize a wide array of qualifications, including academic record (quality of curriculum, scholarships, special honors, etc. ), work experience (quality as well as quantity), and overall "fit"(interpersonal skills, unique experiences, philanthropic activity). Applicants must provide the Admissions Office with transcripts for all postsecondary academic work, an official GMAT score report, letters of recommendation, personal essays, and TOEFL/IELTS scores (for international students only). Interviews are required for all candidates. Applicants to the full-time program interview on a "by invitation only" basis. Joseph Neubauer - Chairman and CEO, ARAMARK Corp.
Top Employers Of Graduates From This School Include: McKinsey & Company, Inc., The Boston Consulting Group, Barclays PLC, Bain & Company, Inc., Citigroup Inc.
Want more info about University of Chicago, Booth School of Business Executive MBA? Get free advice from education experts and Noodle community members. If I want to work at a tech startup, is getting an MBA worth it (if I don't want to be a developer)?